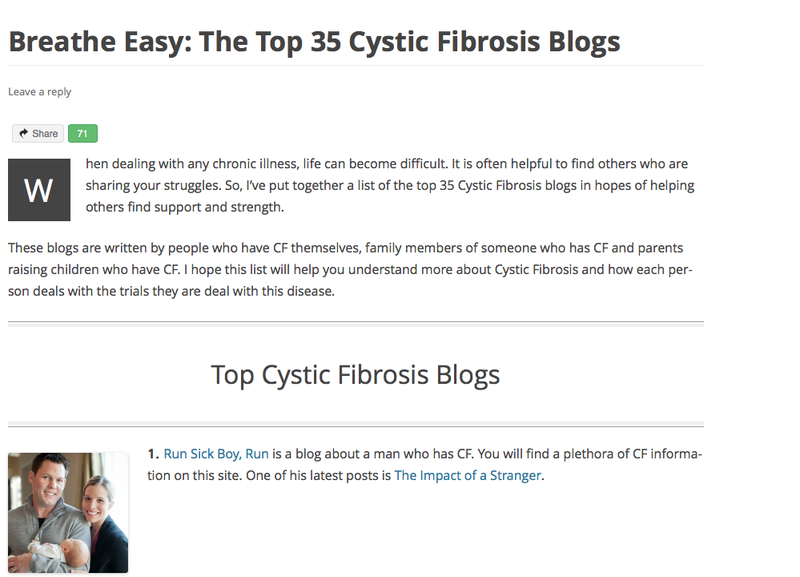 Thanks to my friend and blog reader Larry, I found out about this list of top cystic fibrosis blogs. I’m #12. Usually, I don’t make anyone’s best of anything list, so this is quite a change. The best part is that I’m in good company. 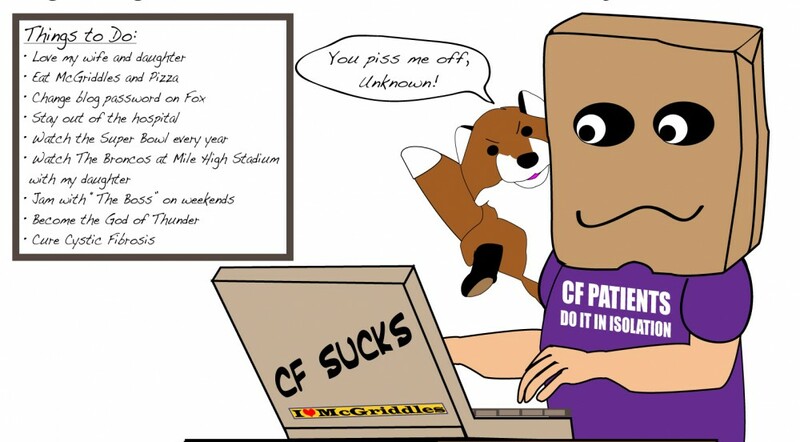 This entry was posted in cystic fibrosis and tagged cystic fibrosis by unknowncystic. Bookmark the permalink.